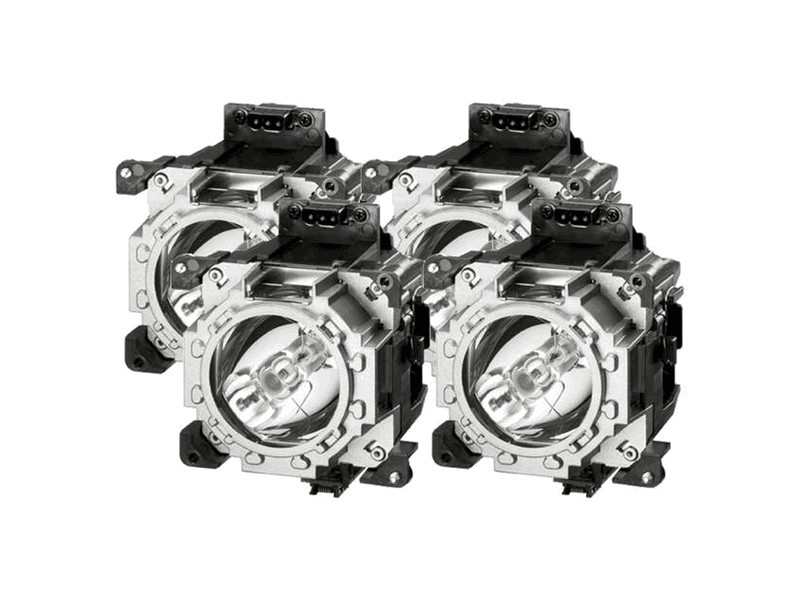 The ET-LAD510F Panasonic projector lamps replacement (4-Pack) are a genuine original OEM Panasonic Quad-Pack lamps with 465 watt UHM bulbs inside. This Quad-Pack is rated at 17,000 lumens. The ET-LAD510F 4-Pack has a rated life of 2,000 hours. Beware of lower quality lamps with generic bulbs inside that have poor construction, reduced lumen output, and shorter rated life. ET-LAD510F Panasonic Brand Original Projector Lamp Replacement. Quad Pack Genuine Original lamp with standard 80 day warranty. So pleased we found Pureland Supply. Our customer service rep was friendly and knowledgeable and gave us an accurate lead time on our Quad pack lamp. Installed and working great. We received the brand new OEM lamp replacement which was what we were expecting. Highly recommend this company!